Macro, Meso, and Micro Climates: The Importance of Trees in Urban Climates | Watts Up With That? Is dishwater dull? Naturalists with microscopes have told me that it teems with quiet life. – G. K. Chesterton. Climate science is essentially limited to macroclimate, that is global, or at most hemispheric or continental. It’s primarily due to the influence of the Intergovernmental Panel on Climate Change (IPCC) – they can’t do small, or even medium. They rely on models and, as they acknowledge, spatial resolution, “…is generally not high enough to resolve tropical cyclones, and especially to simulate their intensity.” Figure 1 shows a traditional division of climatology studies. IPCC models can’t even encompass Mesoscale, because a single rectangle in their grid can include Plain, Mountains and Basins. Source: Climatology, Oliver and Hidore, P.163. Investigation of “underlying process structures”, is virtually impossible because data is inadequate. It is also why even regional models fail. In 2008 Tim Palmer, a leading climate modeler at the European Centre for Medium-Range Weather Forecasts in Reading England, said in the New Scientist. Difference in temperature between urban and rural areas, known as the Urban Heat Island Effect (UHIE), was first measured by Tony Chandler in London England and described in his 1965 book, The Climate of London. The major reason for the temperature difference is replacement of vegetation with impervious surfaces like asphalt or concrete. The center of the city, or Central Business District (CBD), is 100 percent impervious surface, while the average suburban property is approximately 40 – 50 percent. (Figure 2). Figure 2: General suburban lot with impervious surfaces. Reduced grass and tree cover means quicker runoff and reduced evaporative cooling, among other factors. Treed and grassed areas in cities are measurably cooler than the surrounding urban area. In heat island studies of Winnipeg, Manitoba in the late 1960s we found a one-city block park (Figure 3, marked with green tree symbol) measurably, about 1°C, warmer in winter and cooler in summer. Others had similar results, such as Tim Oke’s measurement of the impact of Stanley Park in Vancouver. Figure 3 shows the Elm trees lining many streets of older Winnipeg. The City is on the edge of the Tall Grass Prairies. Trees, mostly Quercus macrocarpus (Scrub or Burr Oak), only grow along watercourses. Winnipeg is on the northern limit of these trees and they grow very slowly, so from early days Elm trees were planted along streets, starting around the Legislative buildings. They create a microclimate within the urban local climate. 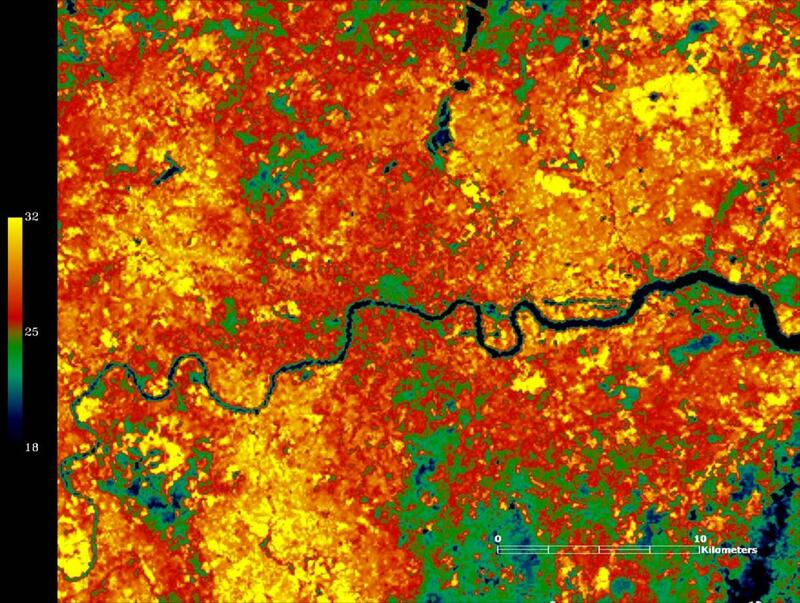 A study to determine the role of vegetation in CO2 levels in urban areas was useful, but limited. The author’s concluded that, “The amount of CO2 taken up by vegetation in the suburban area was not enough to balance out, or “offset”, the total amount of CO2 released by burning fossil fuels over the course of the year. “Unfortunately, far from it,.. We will still need to find ways to lower our carbon footprint.” What if they found that the vegetation absorbed all the human sourced CO2? The objective of arguing for increased green space is commendable, however, other, equally important questions need answers. How much do the increased CO2 levels increase urban temperatures and enhance vegetative productivity? How much of the increase is due to increased precipitation? Atkinson demonstrated, as early as 1968, higher precipitation amounts in urban environments. It is due to more condensation nuclei, higher water vapor levels and greater uplift from convection and airflow over the urban dome. How much of increased vegetation is due to a longer growing season? The role of urban vegetation was a primary concern of Kratzer’s studies in the Ruhr Valley in the 1930s. He was interested in the impact of pollution on trees and the temperature discoveries were coincidental. It was also included extensively in Geiger’s work, Climate Near The Ground, particularly in Chapter 38. Many are concerned about forests, but urban trees are, relatively, more important. Urban environmentalists constantly complain about forestry, but extent of forests has increased as much as 30 percent in most continents. We are close to a renewable cycle. Replanting forests (silviculture) in practice for some 60 years, means forests are reaching harvestable size, even in slow growth areas. Forestry is close to becoming forest agriculture. I had the privilege of giving the keynote address at the first conference on urban forests in Canada. Ironically, it was shortly after I’d spoken to a conference at the University of Toronto, which was closing its forestry faculty. Authorities decided forestry was unnecessary in an urban university – what an opportunity they missed. It illustrates how out of touch universities are with the world outside the Ivory Tower. It’s why the phrase, its purely academic, means it is irrelevant to the real world. As someone said, “A professor is a person whose job is to tell students how to solve problems of life which they have tried to avoid by becoming a professor.” (Updated). Trees also cleanse the air. They transpire oxygen, water vapor and other gases, but also absorb CO2 and other gases. Sometimes this “exhale” is visible, which is why there are so many “blue” mountains around the world, such as the Blue Mountains of Kentucky. Some species survive rigors of urban air and often become symbols of the city. The Plane tree, that Americans call the Sycamore, lined the streets of smog bound London and survived because the bark sheds, thus removing the pollution. Interestingly, this changing color of bark was used to illustrate evolution, because peppered moths came in light and dark. Tree bark darkened by industrial soot, required camouflage change. Dark blended and thrived, light became apparent and vulnerable, so numbers decreased. The second line of Joyce Kilmer’s famous poem is about the tree’s dependence for sustenance from the ground. “A tree whose hungry mouth is prest against the earth’s sweet flowing breast.” A tree structure includes the trunk that supports the canopy with both supported by the root system. It usually divides into two parts, the taproot that anchors the tree, and the spreading roots that add stability and are the major source of water (Figure 4). When rain falls on the tree, a portion is intercepted and evaporates back to the air; the rest is shed to the outer rim of the canopy. The water is shed to the outside to feed the spreading roots. 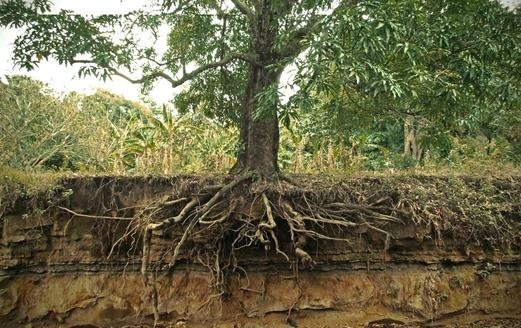 Figure 4: Tree root system exposed by erosion. 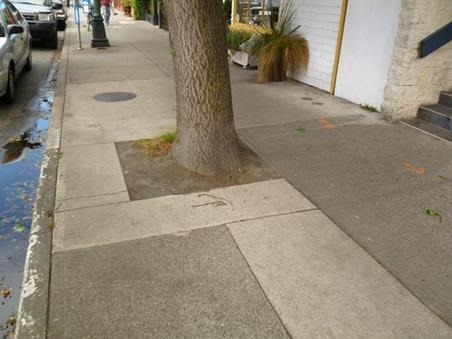 For many urban trees this is a problem because the impervious surface, too often, goes right up to the trunk. Figure 5 shows a tree in downtown Victoria, British Columbia, but you can see this in most cities. It clearly limits the ability of the tree to get water, but most vegetation put down roots a long way. For example, one species near the Sahara had roots down 100 m. During the Prairie drought of 1988/89, University of Manitoba researchers found wheat roots down 3 m. City trees do the same thing, but it takes a delightful form of revenge. City engineers tell me roots work down into sewer and water pipes causing many problems. It’s only fair that trees get the water engineers denied them in the first place. Figure 5: Tree on Fort Street, Victoria BC. Notice the water in the gutter that is unavailable to the tree. Anthony Watt’s examination of US weather stations showed how changes in the immediate area affected results. Still the Global Historical Climate Network, NASA GISS, and all weather agencies assume the station is representative of a much wider area. IPCC and others claim the data is representative of a 1200km radius area. Draw a 1200km radius around your community and decide for yourself. Apart from anything else, Tisdale showed that using a 1200km radius compared to a 250km radius, introduced an artificial warming. Climate science, as opposed to Climatology, fails because it studies individual components of a vast, complex system. Individual specialists study individual pieces of the system, simplistically depicted in Figure 6. It also fails because it does not examine the different scales and spatial relationships in Figure 1. 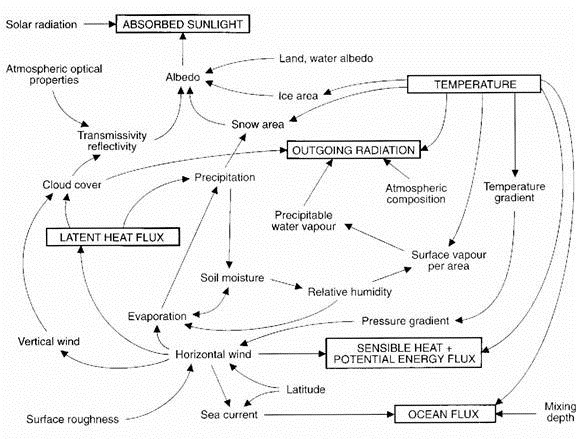 Figure 6: A simple systems diagram of climate. There is a reason why climatology evolved as a major part of Physical Geography. Intellectually it requires a generalist discipline, but specialization dominates today’s dissected, fractionalized, academic world. A more archaic term for geography is chorology. It is defined as “the study of causal relations between geographical phenomena occurring within a particular region.” that seems to summarize what links Figures 1 and 6. Maybe the adage that, we can’t see the forest for the trees, is appropriate? July 16, 2014 in UHI. Interesting information about trees, I have stubbed my toes on roots protruding far from the trunk to realize how true it is. And how they make a big difference in temperature. I have asked this question before and surfed a bit looking for an answer. We own about 10 acres in eastern Kansas. two third covered by grass (ok weeds mostly) the remainder wooded. Simply put would it be better for the environment to plant more trees in the grassy areas or is the amount of CO2 processed about the same for forest versus grass? Seems simple enough to pose the question. Not being smart enough to figure out the answer is obviously my shortcoming. as in most cases, it depends. Grasses are often more water-intensive than trees, so if water is an issue, grass would be less desirable. If using native grasses and trees, it would seem the best approach would be trees and grasses, with the trees being tall enough to allow sunlight to the grass. But regardless, the CO2 processing amount is moot anyway. Water conservation, heat island reduction, and just general good (real) environmental practices are infinitely important than CO2 anyway. ^ s/b “infinitely MORE important than CO2 anyway. I’ve been measuring the Zenith, and my concrete sidewalk, front yard grass, and asphalt drive with a IR thermometer, The air temp was 54F this morning, and we had a pretty clear sky last night. Now, while I can accept that the area of cities (which I’m well outside of) represent a small portion of the land surface area, most of the thermometers are there, and there’s a 10F or 15F difference in land use just in my yard! And it would seem that someplace far from human pavement would make a 4F difference in air temps at least. When I read UHI effects are a fraction of a degree, well I just don’t believe it, and wonder if anyone writing computer code to do these calculations ever goes outside and takes a measurement or two. Forgive me: What is a “Zenith” and how did it possibly get to -30F in an ambient 54F setting? The zenith is straight up, and the -30F is the temp the surface radiates to in the SB equation. Dr. Ball – Very interesting. Seeing as the EPA has based their Green House Gas (GHG) endangerment finding on the conclusions for future climate outcomes from increasing CO2 emissions from human activities on these same IPCC models, it is extremely enlightening to see the scale at which their “predictive” capabilities are limited to. Another axe to chink away at the credibility of the endangerment finding, utilizing the same study used to support it. Oh, the irony – it burns! It is my hope that many that still support the EPA in regulating CO2, read your submission above and ask themselves the question – How accurate and to what scale of accuracy are the IPCC models???? Thanks again, Dr. Ball!! 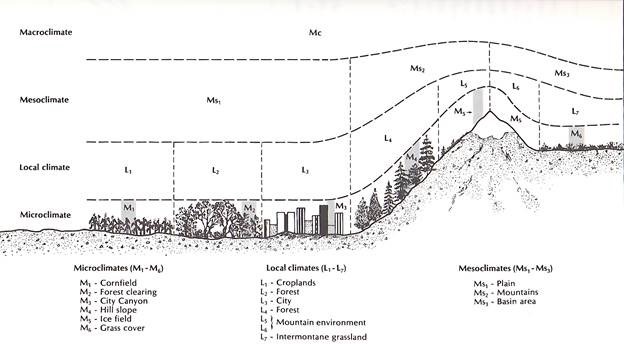 Thank you Dr. Ball for your very informative and well reasoned post on the importance of trees in urban climates; and in particular for your comments regarding the scientific complexity added when multiple time and length scales interact in a system such as climate. My only substantive comment relates to your statement towards the end in the section “The Devil is in the Details”. This title is a truism for climate science as it is in maybe all scientific and engineering disciplines, including my own involving material science. (1) In your opening phrase above, I don’t think you meant to imply that Climatology has been successful. (2) Importantly, however, if any scientific or engineering field is to advance, scientists need to work out the details of individual mechanisms and phenomena focusing often only on a single component of the overall system along with the major interactions among interconnected system elements. Scientists that probe deeply and convincingly in a single phenomena at a single scale build a block of knowledge ultimately needed to understand the system at whatever scale they happen to study. (3) It’s only after the individual system modules are fully understood and prime interactions are probed, that systems level scientists and engineers can begin to construct a multi-time scale and length scale representation of the system and then verify and validate it with associated uncertainty quantification to gage the level of trust in the system behavioral representation. Again a great post, yes, the devils is in the details and its those details that our best scientist (whatever the disciple) focus on so that system level systems analysts can assess overall system behavior via both experiments and simulation. Have no doubt that the system analysts I refer to are not the charlatans who market their system-level solutions without having given the devil his due by beforehand working and understanding the details. Phaedrus, what do you want to accomplish for the local environment? Kansas was originally most Great Plains, with some open (mostly burr oak) savannah along river course ways. It was tall grass prairie kept that way by fire, a distinctive habitat for everything from buffalo to prairie dogs and ‘prairie chickens’. One goal would be restoration, but 10 acres isn’t much of a habitat. What surrounds it? Even a micro habitat can help re-establish a native ecosystem by providing refugia if the surroundings are not vast monoculture fields or suburbia. If you want soil water retention/soil and habitat restoration, best lose the almost certainly anthropogenic trees and go for tall grasses. If you want carbon sequestration, best lose the grasses and go for trees. Doesn’t sound like you will be subjected to a prairie fire anytime soon. We are doing some of both on my dairy farm in Wisconsin, in those portions not actively farmed. Forestry substitutes for fire there now, although I have neighbors that do actively burn up to 60 contiguous acres at a time to restore real oak savannah. Bringing back the burr oaks, they are. My forests (hard maple, hickory, red and black oak, black tooth aspen, birch, a few northern white pines high on the rock outcrops) still have an occaisional living burr oak with a trunk over 6 feet in diameter. All well over 200 years old, predating original ‘white’ settlement after the Blackhawk wars of 1837. Most now hollow and nearing their natural end. Lots of acorns, but with little competitive chance against ‘anthropogenic’ species since settlers stopped the irregular fires. Australia, being a dry continent on average, has trees that have developed with microscopic ridges along leaves and down the stems, branches and trunks, to direct limited rainwater onto the ground next to the trunk. The prime example, is the most widespread tree or shrub that grows in Australia, the Mulga tree, Acacia aneura, which consists of 9 sub species and grows from coast to coast across Australia’s deserts. Thanks for this post, Dr Ball, it describes my work for the past 14 years in the Kimberley aided by the local indigenous unemployed and volunteers, spreading the message (and the trees) to all our northern Australian towns. Old news. Back in mid 60’s every student here in Sweden studying Math, Physic, Chemistry and Biology (study line called Real-linjen) learnt exactly the same important knowledge for understanding macro-, meso-, and micro climates. There’s some dispute about trees being better carbon sinks than grasses. If they were, why are the woodland soils more shallow than the prairie soils? The soil is the sink in the prairies, the trees are the sink in the woods. phaedrus, the Kansas Forestry Service employs people to help folks like you decide how they want to manage their land. They have regular newletters and field days. I get my newsletter via email, though I’m not a Kansas resident. If I’m not mistaken, if asked, they’ll come to your property. Good resource. Good folks. John Slayton, in my cross country car trip I took last summer, I drove through a couple states that disallowed billboards on the roadways. Instead, they were quite a distance from the road, far enough in fact I had a hard time reading them. It was odd seeing one in the middle of a field so far away from traffic that it made me wonder if the rabbits and deer were the intended audience. Pamela, you wouldn’t have trouble reading California billboards. They vary in size directly as the square of the distance from the road. 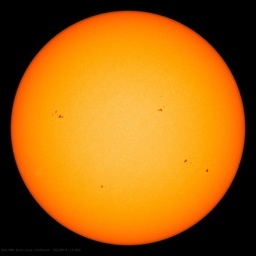 The measures are in Fahrenheit, taken about 7:00 pm under a partly cloudy sky, with the weather being 10-15 degrees below normal for the date. With apologies to Joyce Kilmer, of course. Interesting observations. Be a bit careful about using the IR pyrometer readings for temperatures of different surfaces. It measures light intensity in the IR range (typically 1.2-3 um) and computes a temperature using an emissivity factor of about 0.9. For the pavement, asphalt, tree leaves. etc. this yields a reasonable measure of temperature. For surfaces like aluminum foil (e~0.1) the pyrometer will read a bit lower than pavement at the same temperature. Looking into the atmosphere, you will get a temperature (IR intensity) from a portion of the spectrum near you at ambient (the water vapor absorption at 1.8-2 and 2.5-3 um), some from dust/aerosols at various elevations and temperatures and the remainder from the blackness of space. This mix yields the average intensity translated to -30F. Different devices will have different detectors and filters and will yield widely different “temperatures” of the same view of the sky. Mine operates from ~8-14u, and probably doesn’t detect any Co2 14-16u IR. I’ve been measuring this a lot, and as long as it’s not hot and humid I’ve been getting about a 70 – 80 F difference. I found a paper that said the emissivity of the sky was around .6, which when set to that made the reading colder. Lastly my assumption is while this might be a mix of sources, it is approximately what the ground would see. I think it’s the Blue Ridge Mountains of Virginia rather than Kentucky. The Great Smoky Mountains of TN and NC recognize the same phenomenon in their name. Figure 6 (1974) has no place for the evil CO2 to override all the other effects and control the temperature. Maybe it wasn’t working then the way it does now. I have used my Raytek non-contact infrared thermometer to measure microclimates. Temperatures vary by 10 degrees in various forested areas. Walking down a paved mountain road in the Sierra Nevada daytime temperatures under and around vegetation were 10 to 20 degrees cooler than the gravel should, and the pavement was another 20 degrees hotter than the gravel. Pre-dawn temperatures showed the same relative differences but typically just a 10 degree difference between the 3 microclimates. The “divergence problem” is the result of measuring different microclimates. The natural world is not warming much as the populated world. The surprise for me was how ‘cool’ the wooded areas are such Dulwich Woods and also how hot the areas of short grass and farm land; see the variation in the great parks between grass and trees and the ‘hot’ fields to the right of Fairlop Waters Country Park. In addition I did not expect the City to be relatively cool. It would appear that where there are many high rise office blocks that also provides shady ‘canyons’, but that would only apply to somewhere away from the equator? Also, apart from water having a low albedo they are the coolest objects in this image. Trees are about the most efficient evaporative-coolers there can be. A very large surface area (relative to the canopy volume) of stomata evaporating water. Grass, weeds & crops do it too. Anytime such vegetation is removed & replaced by hard, impervious surfaces, the evaporative effect is reduced/removed and daytime temps are increased. Here in wooded rural areas, there are very distinct limits to summer highs, depending on how much general moisture there is. If well-watered, it seems it cannot get hotter than 89-92F (89F is the highest reached so far this well-watered summer) no matter how hot the air-mass upwind is. The potential highs increment up as the landscape dries out, but after 10 yrs & a number of dry summer periods, the highest it’s gotten here is very briefly 99F. Urban/suburban areas with reduced/absent vegetation easily reach higher highs consistently, and those areas are where almost all the “official” thermometers are located. Trees are about the most efficient evaporative-coolers there can be. It’s amazing how much the temp can change when riding a motorcycle into and out of an area where there are large trees, easily a 10 degree difference. Is dishwater dull? I have read much of Hans Christian Anderson to my 7 year old. One story he has asked to have repeated is “The Drop of Water.” One country gentleman man has another, apparently clueless to what a microscope is, examine a drop of ditch water. The observer guesses the mayhem observed amongst the microscopic life in this drop are the rowdy citizens of Copenhagen. Yes, it is “Old news”, but that is precisely my point. It shows how much the IPCC diverted, perverted and blocked understanding and advance in climatology for the last 30 years. This was aggravated by the fractionalize of climate science, as individual specialists examined one piece of a very complex integrated system. Rosemary Anderson HS students in Portland OR have been collecting data on urban trees and temperatures for the past 3 years. One of the objectives is to see if there are any links to average income levels of neighborhoods and quality of living and the type and density of urban trees. Forests are so very interesting. Especially the give and play between human interaction and forest response. Here is a short article on the history of logging in Vermont., which started in the 1790’s. In the 1880’s, parts of Vermont were 80% deforested, one hundred years later it was back to 17%, replanted with a completely different mix of trees. On my own 10 acres in Southern Vermont, I can see stone walls which marked the boundaries of open fields more than 150 years ago. These boundaries, as well as some very old trees are “witnessed” in the local property deeds. And the rain also washes co2 from the air, so you can buy credits from me whenever it rains here. And surely our green mossy covering on our sidewalks is transpiring as well, so overall, it is truly a wonder that we have any co2 in the air at all. Don’t forget that the tropical oceans exhale far more than your sidewalk will absorb. I always thought the images from the AIRS satellite, with the differences in surface Co2 was very interesting. I’m interested in the difference in CO2 absorption between grass, shrubs, and deciduous trees. “Urban Canopy” is the latest eco-fad being used to control other’s property in SW BC, often combined with the “Garry Oak Meadow” fallacy to block construction of housing. The natural state of Garry Oak is forest. Meadows were created by human intervention. Tribal people felled trees with fire to create more interface periphery as that is where animals live and where shrubs grow. Deer for example, a food source common on the mid-wet coast of North America, eat leaves. Berries are on shrubs. Meadows have edible plants like Camus lilies, popular with tribal people on the mid-wet coast of North America. (Often what eco people refer to as a “meadow” is just spaced out trees with no underbrush. (As for shade, of course a tree provides shade for humans, because it is taller – wouldn’t grass provide shade for a grass snake? (AKA “garter snake”, snakes in BC south and north tend to come out of grass/from under things, only when it is wet and they want the sun. Note too that deciduous trees do not provide shade in winter, in other than tropical climates I suppose. Another claim in favour of trees is they provide nesting for birds. That is correct, but they do not provide food (except for woodpeckers). Indeed, robins eat worms from wet lawns. (Bird species vary in their preferred food, some are very limited in what they will eat – the success of crows may be in part be their versatility.) And shrubs provide shelter for birds in bad weather – on the wet coast some hummingbirds winter over, using a combination of shelter provided by the hedge “cedars” (actually junipers) that are popular, and an ability to hibernate during the night.